Residents with golf course views from their backyards took the news that Cape Coral’s The Golf Club will close Aug. 1 with a deep sigh of resolve. Cianciotti kept her yellow “Save The Golf Course” sign from when it seemed the course would be sold to the Lee County School District. Angry neighbors turned out for meetings, rallied to petition the City Council and even put their homes up for sale, fearing a drop in value if schools moved in. Because of the public firestorm, the district backed out of the deal in July 2005. Almost a year later, the neighbors feel their backs are against the wall again. They bought their homes because of the views, not only of the course but the wildlife that inhabit it. People living along streets such as Country Club Boulevard, Palm Tree Boulevard, Southeast Fourth Place and other streets that make a ring around the course said they were sad, ready to fight again and wondered what would happen to their property values. The desirability of a home with no rear neighbors, adds to the value of a home, said Realtor Phyllis Shelton, of ERA Heritage. Substantial development such as high-rise condominiums, schools or anything else would lower home values in The Golf Club neighborhood. 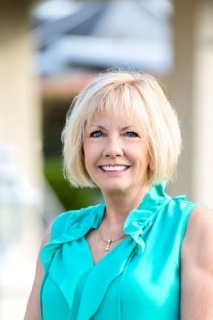 “There would be no adverse effects if the area is kept as green space,” said Shelton, a former president of the Cape Coral chapter of the Women’s Council of Realtors. Many neighbors, as well as Shelton, believe The Golf Course exists under zoning that should keep it as a park or a golf course. If not, those neighbors are ready to protest again.